Home / FAQ / How do I obtain self employed health insurance coverage? 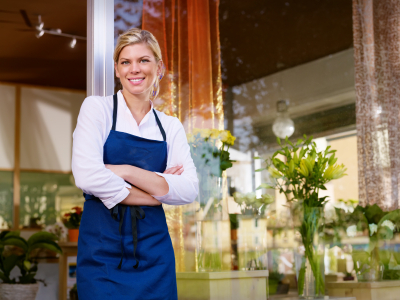 If you are self employed, there are a couple of different ways you can obtain health insurance coverage. If you have recently terminated employment with a company at which you were covered under a group health insurance plan, you can elect COBRA coverage. If this does not apply to you, another method of obtaining coverage is to find a reputable insurance broker to work with you on obtaining a personal policy. Enter your zip code in the box provided to view health insurance quotes for self-employed plans. Only companies that employ two or more employees are eligible for coverage under a group health insurance plan. Therefore, self employed health insurance coverage equates to an individual health insurance policy. If you are a self employed, one-man-show, health insurance coverage should still be an important consideration. Unfortunately, those who are self employed will find that health insurance coverage is usually different for them than for other businesses. If you are eligible for COBRA with your former employer, this may be an option for you. Take note, however, that the premium for COBRA coverage will be significantly higher than the employee premium. Additionally, coverage is only available for 18 months after your group plan terminates. If you are not eligible for, or choose not to elect, COBRA you will need to shop for an individual policy. Finding good coverage, however, can be very difficult. At this point, you will want to turn to a broker to assist you. COBRA is an acronym for Consolidated Omnibus Budget Reconciliation Act. This is a law that was enacted by the federal government to give workers and their families the option to continue for a short length of time, the same group health insurance coverage they had with their former employer. Qualified COBRA recipients are usually required to pay 102% of the employee premium. If you recently terminated employment with a company at which you were covered under a health insurance plan, you are eligible for COBRA for a period of at least 18 months. There are other circumstances in which this period could be extended. Employers are required by law to send COBRA election forms and a Certificate of Credible Coverage to employees within 45 days of their group plan termination date. How much will health insurance coverage cost if I am self employed? If you are eligible for COBRA, the paperwork from your employer should include your cost of coverage for COBRA benefits. If you have not received this information, you should contact a benefits representative at the company. If you are not eligible for, or choose not to elect, COBRA, you will need to shop for an individual plan. There are many factors that determine the cost of individual plans. Your medical history is one factor. If you have a clean medical history, you will find it easier to obtain a policy and the premium will be less expensive. You can reduce your monthly premium by choosing a plan with a higher deductible and higher out of pocket requirements. If you elect to cover other family members, expect a significant increase in premium. Certain states have special regulations that affect the health insurance coverage you choose. For instance, in New York, age is not a determining factor for determining cost of coverage. You should research your state to see if there are any special circumstances or considerations. How does Health Care Reform affect self employed insurance coverage? In 2010, a national high-risk pool was created which allows individuals who are considered high risk to buy coverage at a reduced rate until 2014. At that point, it will be illegal for insurance companies to decline coverage for any individual with pre-existing conditions. Another great benefit for the self employed, thanks to the Affordable Care Act is a new tax credit for startup entrepreneurs who pay themselves less than $50,000 a year. Researching this new legislation may turn up some other interesting facts that may affect you. Health care reform is an ongoing process over the next few years and includes provisions to benefit small businesses and the self employed. If you are included in this category, it is encouraging to know that there are new laws in place that should make obtaining self employed health insurance coverage easier and more affordable. Additionally, the new tax incentives will also be very helpful. If you are self employed and need coverage, take the first step by entering your zip code now to obtain the health insurance rates available.